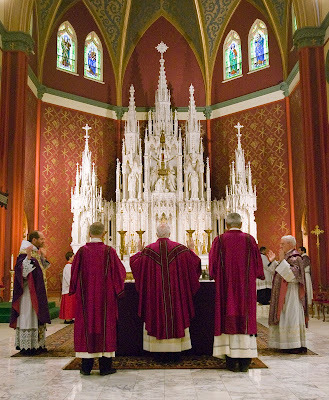 Last month, we mentioned a conference which was to take place in Tulsa, Oklahoma, Time Drawn Into Eternity, A Conference on Sacred Time and the Liturgical Calendar, sponsored by the Te Deum Institute of Sacred Liturgy. 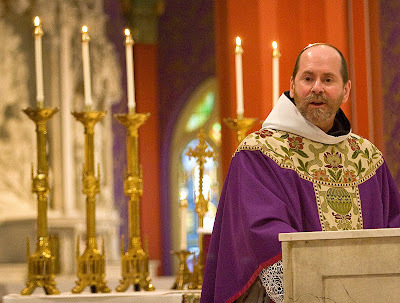 This conference took place this past March 11th and 12th, featuring Bishop Peter J. Elliott of the diocese of Melbourne, Australia. 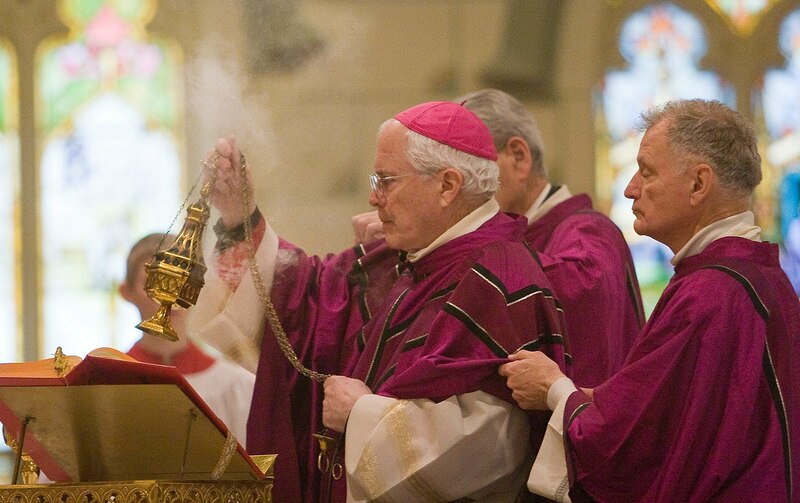 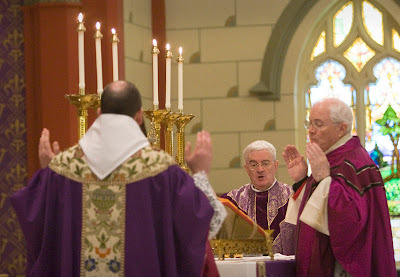 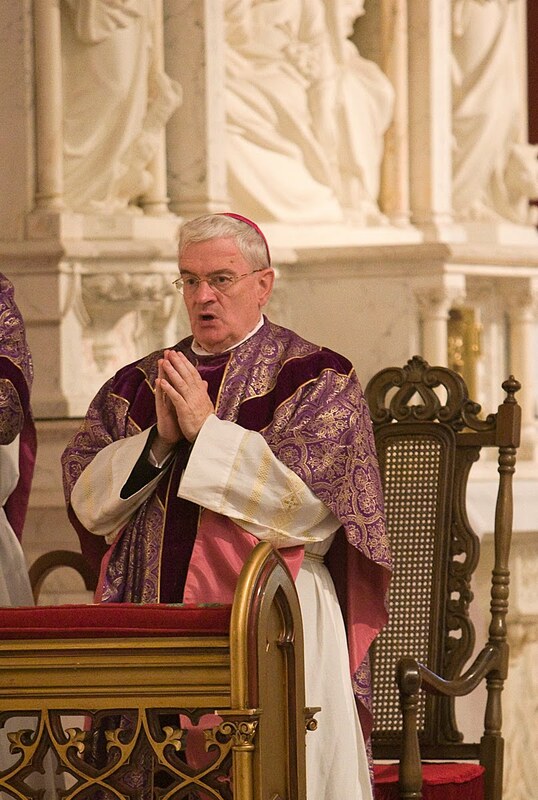 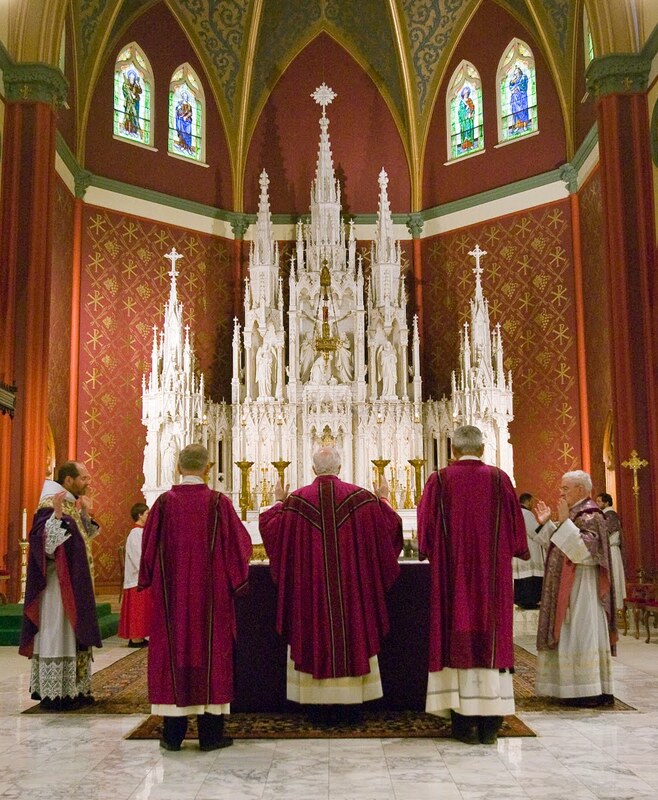 The following photos were sent to us by the Te Deum Institute, showing the Mass (ordinary form) celebrated by Bishop Edward Slattery, the Bishop of Tulsa, concelebrated by Bishop Elliott and Dom Mark Daniel Kirby, OSB, of the excellent blog Vultus Christi. We hope to bring you more on the papers from the conference in the near future.